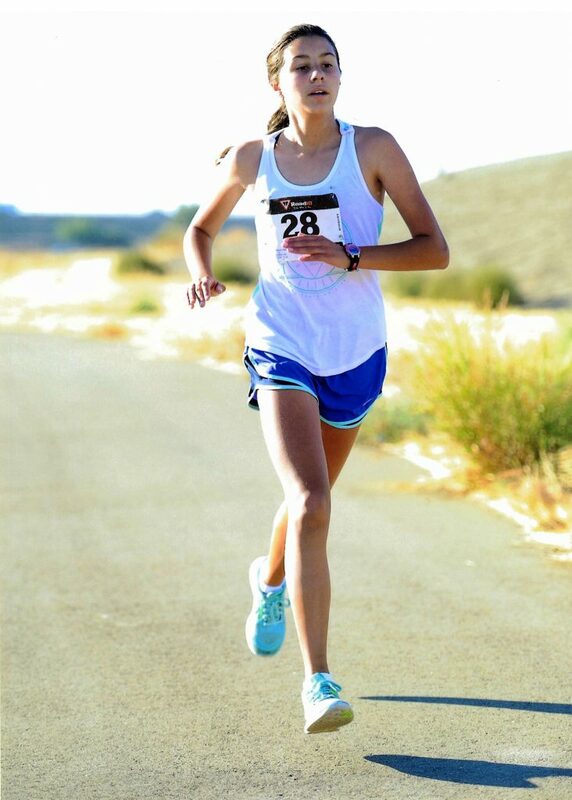 Natalie Mazoud began running with her father at the age of 5 and entering races at age 9. She has run track and cross-country for Carmel teams, and competes in so many races that she loses track of them all. Now the CHS sophomore is gearing up for a major milestone in the life of any runner: She is currently training to run the 2018 Big Sur Marathon with her father Jean-Paul on April 29. The motivation for running the Big Sur came, in part, from a desire to achieve something significant in honor of Natalie turning 16. In preparation for the 26.2-mile endurance run, the father and daughter have adopted a rigorous training regimen that adds up to about 50 miles over five days each week. In addition, Natalie and her father compete in races almost every weekend. Before beginning training for Big Sur, these were mostly 5Ks and 10Ks, but now they run mostly half-marathons and 15-milers. The marathon will be the longest distance she has run, but neither Natalie nor Jean-Paul is concerned about being able to complete the race. She admits to being more worried about whether she’ll be satisfied with her time as she is aiming to finish the race in about 4 1/2 hours. Brent Silva, a Carmel High teacher who has completed the Big Sur Marathon several times, is well aware of the many challenges that face runners in this particular race. For one thing, the course is entirely comprised of sections of Highway 1, making it nearly impossible to train on the actual racecourse. “The other thing that you can’t really replicate, or usually wouldn’t, is when you have to get up to get a bus to actually run, which throws you off,” says Silva, noting that most of the buses pick up runners around 4 or 4:30 a.m. to deliver them to the starting line of the race. The Big Sur Marathon is infamous for the relentless hills that define the last several miles of the course. Natalie is apprehensive about this part of the race. After completing the marathon, Natalie is hoping to renew her focus on track; she is currently not participating as a result of her marathon training. CHS track coach Tom Clifford believes that Mazoud’s decision to focus solely on the marathon instead of splitting time between track and training is a smart one. He notes that several Carmel High students have entered the marathon and not all have finished, but he also expresses confidence in Natalie’s strong abilities as a runner. Natalie and Jean-Paul are excited to share the experience of completing their first marathon together. Both father and daughter are looking forward to the gratifying feeling that comes immediately after finishing such a feat of physical accomplishment.